46 Indian fishermen were allegedly arrested by the Sri Lankan Navy for illegally poaching in the country’s waters, Navy Spokesman Kosala Warnakulasuriya told Ada Derana. 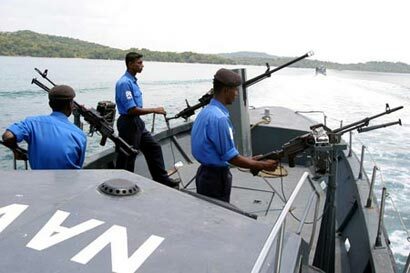 The Sri Lankan Navy also seized 11 boats of the fishermen. Last week, as many as 51 Indian fishermen were released by the Sri Lankan government. They were arrested by Sri Lanka’s Navy for allegedly poaching in the country’s waters. Sri Lankan President Mahinda Rajapaksa had ordered the release of the fishermen as a goodwill gesture ahead of Prime Minister Narendra Modi’s swearing-in ceremony which was attended by him in New Delhi on May 26. No worries our President will instruct these 46 Indian fishermen to be released.